Today I’m speaking with Jarred VandeMark. He’s a Recruiting Manager for Accounting & Finance at Vaco in Richmond Virginia. I first came across Jarred a few years ago on Reddit, where he’s well-known on the accounting subreddit for his pretty-much-annual Ask Me Anything threads. I’m excited to have him on the show today to help explain the basics of finding and working with accounting recruiters. Plus a whole lot more. 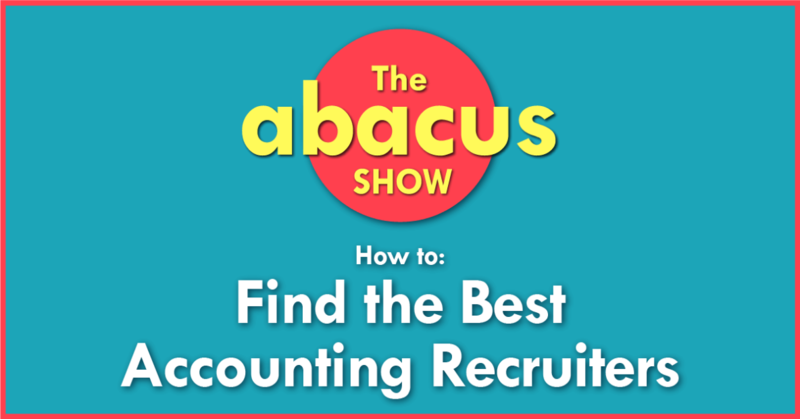 Recruiting manager Jarred VandeMark shares the inside scoop on how to find the best recruiters in your area in this Abacus exclusive interview. Plus, how’s the Accounting Job Market look leading into 2016? All in this episode of Abacus. Let’s Go! Voiceover: Today you’ll learn how working with a great recruiter can boost your career, and more importantly, the questions you need to ask to make sure you’re only working with the best. This is Abacus, episode one. Let’s go. 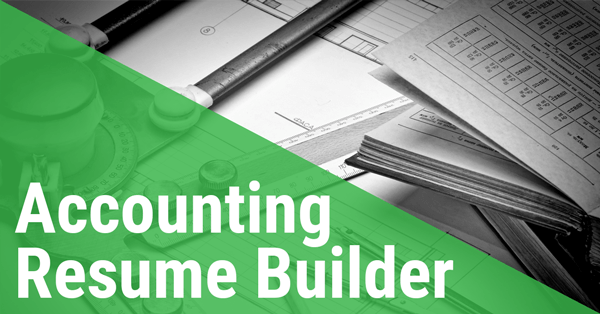 Voiceover: Learn everything you need to know to have a successful and fulfilling accounting career. Whether you’re on the partner track, or you’re making your own path, this is Abacus. Bob the CPA: Today I’m speaking with Jarred VandeMark. He’s a recruiting manager for accounting and finance at Vaco in Richmond, Virginia. I first came across Jarred a few years ago on Reddit, where he’s well known for his accounting sub-Reddit ask me anything threads. Today I’m excited to have him on the show to help explain the basics of finding and working with accounting recruiters. Jarred, welcome to Abacus. Jarred VandeMark: Thank you, thank you, it’s great to be on the show. Bob the CPA: Why don’t we just tell the listeners a little bit about yourself before we kind of jump into the meat of the episode. Jarred VandeMark: Okay. Sure. My background is, I went to University of Richmond here in Virginia and I got a degree in accounting back in 2002 and I went into public accounting. I worked for, at the time it was McGladrey & Pullen, now it’s called RSM. Bob the CPA: I saw that name on your LinkedIn profile and it was kind of a blast from the past there. Jarred VandeMark: I know, maybe I need to update that now, now that it’s changed. I was there for almost two years and I actually got a call from a recruiter about a job that had 50% international travel and I was young and I thought it would be a great opportunity to go and see the world on another company’s dime and so I looked into it and I got the job and I went to the Brinks Company, the armored trucks and the vaults and they operate in about 75 different countries. Bob the CPA: I didn’t realize they were that big. Jarred VandeMark: Yeah, they’re quite large, they’re quite large. Bob the CPA: That’s great. That’s a great opportunity for someone so young. Jarred VandeMark: Yeah, I mean I talk about it all the time. I had some great experiences. They sent me to, I think it was my first two weeks there, they sent me to Malaysia. I had never gone anywhere like that before. I went to Greece. I went to Germany. I went a lot of places in the U.S. as well. Did a lot of audits, counted a lot of money in the giant vaults that they have. It was a great job, great experience, and I guess even though I’m enjoying the job I just didn’t feel like the work, I guess the accounting and all the things, I was doing a lot of Sarbanes-Oxley audits at the time as well and I wasn’t sure that that was for me. I saw a job posting to become a recruiter and I thought, “Wow I can kind of use my background in accounting and my degree and talk on the phone all day.” That’s what I did. I decided to give that a shot and I went to go work for another firm and that’s been about 10 years ago so I switched jobs a couple times and I’ve been with my current firm, Vaco, for about five years now. It’s been great. I’ve really enjoyed it. Bob the CPA: How did you end up originally posting those really in depth threads on Reddit because that’s where I originally came across you back in the day and I’ve kind of wanted to reach out to you ever since so I imagine there’s other people kind of coming in through that avenue also. Jarred VandeMark: Yeah, I don’t know, I got into Reddit, it’s probably been about five, six years now that I’ve been checking out their website and I guess I joined the accounting sub-Reddit quite a while ago and I think my first “Ask me Anything” was the very first post in that sub-Reddit. I don’t know how it happened I think just one day I was like, “You know this is what I do, people might glean some knowledge off of me of how to advance their career,” and I guess I had a slow morning and I was like you know I’m just going to see what we get out of this. I did that one. I’ve done two since. It’s been really interesting to see how much the sub-Reddit has grown. I think the first time I had, I don’t know 50 questions, and this last one I did, I think it’s been a few months ago, I could not even keep up. It became overwhelming because there were so many people that were interested in what they should do to advance their career and that sort of thing. I didn’t get to all the questions on the last one so I apologize to anybody listening if I didn’t answer your question. Bob the CPA: I’m sure they’ll get to you next year. Bob the CPA: Today I wanted to talk to you a little bit about finding and working with recruiters because I’ve had some really good experiences. My last three or four job searches I’ve used some really good recruiters who’ve really helped me out, but a lot of my friends, especially coming from a public accounting background, have sort of a negative image of recruiters in their head so they’ve either maybe worked with some who were a little less than ethical or they just get annoyed with the cold calls or they don’t really like working with them and I think it would really help them to understand the process better and kind of get over that fear. I was wondering if you could maybe tell us what are some of the biggest myths or misconceptions about working with recruiters? Jarred VandeMark: I guess a lot of the impression that people have, I think some of it just comes from the amount of contacts that they get from recruiters, the phone calls, the LinkedIn messages, the e-mails, I know the accounting profession in itself is so hot right now and it’s in high demand and there’s a lot of recruiters out there and if you get, I don’t know, 10 LinkedIn messages a week, I can see how that would get annoying. If you’re not familiar with a good recruiter and you’re just getting all those messages, it can just kind of irk you from the start. I think, it’s the whole thing a few bad apples can spoil the bunch. There’s great recruiters out there and there are some, like you said, that might not be looking out for your best interests all the time. I think a lot of that stems from recruiters that maybe pop in to the recruiting profession, don’t see it as something that they’re going to do for the long term. I definitely learned over the years it’s interesting, people that I’ve placed years ago in senior accountant positions, staff accountant positions, those people have become my clients years down the road. I try to make sure that I keep a long term viewpoint with everybody that I work with but there’s recruiters out there that they’re very pushy, like you said. There’s recruiters out there that you just never hear back from. You might talk to them once, they might tell you about an opportunity, they’ll send your resume and then you just never hear back from them again. That happens. I think probably one of the biggest myths is that recruiters they just don’t care about your, your career, that they just care about the next placement that they’re going to make, the next fee that they’re going to get. It’s tough. You kind of got to do some networking, find the right person that’s going to be in it for the long term and who’s going to really look out for your best interests. 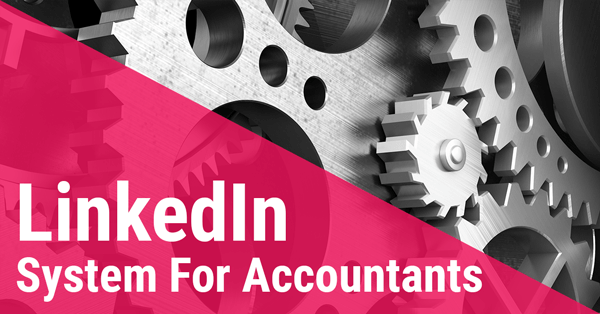 Bob the CPA: Are there any questions that you get a lot that you think other accountants should be asking their recruiters to see if the relationship is a good fit for them? Jarred VandeMark: Pretty frequent that I’ll sit down with someone and I’ll realize that they’re interviewing me just as much as I’m interviewing them. They’ll ask me, “How long have you been doing this? Tell me about your background. How many people have you placed this year? Tell me about the best clients that you have in your market?” I’m here in Richmond. I think those are all great questions. When you talk to a recruiter, you need to interview them just as much as they’re interviewing you. You need to learn about the firm that they work at and how long has it been in business? What kind of reputation does it have in the market? A lot of that you can kind of do in advance by talking to your peers and talking to people who have worked with the recruiter that you’re speaking with or the firm that you’ve worked with in the past. Bob the CPA: That’s a great point. I think a lot of people are afraid to let their peers know that they’re looking for jobs so they’re afraid to reach out but I’ve got a couple good recommendations from friends who had recently left the firm when I was originally leaving public accounting and it really helped me out with getting the ball rolling so I definitely recommend that often. In Richmond specifically I guess, you probably can’t speak about the whole country, but how is the job market for accountants right now? Jarred VandeMark: Just taking one quick step back just to talk a little bit about the firm I work at, Vaco, we do have 30 offices around the country, almost 30, I think maybe 29 right now, but we’re still growing. We’ve been in business for 10, 11 years now, so I do have a little bit of insight on the overall market. Definitely in Richmond I’ve got a pretty good idea of what’s going on here. The job market it’s picking up. It’s been picking up for the last five years for sure. Since 2010 it’s been better and better. Every year that I’ve been with Vaco, since 2010, it’s been better than the previous year and right now, this year, 2015 has been great. It’s a really good time to be an accountant right now, that’s for sure. Bob the CPA: That’s great. Once someone has found a recruiter they like, so if somebody comes to you and they’re a strong candidate and you like working with them and they like and trust you, what would be their next step? How would the process go of working with you and finding interviews and then eventually getting placed somewhere? Jarred VandeMark: Every recruiting firm works a little differently. The way that I work and the way that Vaco works, we do interview all of our candidates in person, unless of course maybe they’re relocating to the Richmond area or sometimes their in jobs where they’re traveling so much, and that happens a lot with candidates that are in public accounting. Unfortunately I don’t meet every single candidate but I try to. It’s always better to meet in person. You get a better feel for the candidate’s personality, the culture that they’re going to fit in. That’s our first step, we set up an in person interview and we sit down for 30 minutes to an hour, there’s no set time frame it’s just however long it takes. I try to be sensitive to the fact that the candidates that I work with, the majority of them are currently employed, so I do a lot of interviews early in the morning, meet people for coffee or meet them in my office at 7:30, 8:00 or I do lunch meetings, or I’ll do them later on in the evening, 5:00, 5:30 or something like that. We’ll sit down. I want to learn about what their goals are. It’s such a cheesy question but it’s one that I always ask, “What do you want to be? Where do you see yourself in five, 10 years?” Because I have a really good idea of what the career track is to get to be a CFO or to get to be a controller of a company. Bob the CPA: I think that’s another thing that a lot of people don’t realize is that someone like you have a lot better high level view of the different paths people can take so you’re a great resource to kind of bounce ideas off of and get some ideas of where you want to go in the future. Jarred VandeMark: Correct and that’s one thing that I tell a lot of candidates. I meet a lot of people and they’re kind of just looking for their next opportunity. What jobs do you have right now? I prefer to meet with people who are looking more for almost career guidance, more of a long term relationship because if you’re in public accounting and maybe, right now it’s November and busy season is right around the corner and you want to leave your firm within the next two weeks to give them a little bit of leeway before busy season starts, you might be a little bit too late or you might not get the best opportunity that the recruiter has been working on in the past few months. You might have to kind of take what’s available right then. As I said earlier, the market is improving, but it’s not the way that it was, so if i meet with a senior accountant, or a senior in big four or in public accounting, there are certainly opportunities out there but there’s not as many as there was in 2005, 2006, so the timeframe is longer now. I recommend people meet with a recruiter when you’re not looking so that recruiter can tell them about an opportunity that’s truly great. You get a lot of phone calls from recruiters, “Oh I have a great opportunity that I’m working on let me tell you about it,” and some of them are and some of them are just jobs that come along. Bob the CPA: One of my old recruiter that I used to work with used to call that dig the well before you get thirsty, meet these people who can help you out and you build those relationships before you need them so you’re not scrambling at the last minute to find a job. Bob the CPA: People can totally tell if you’re just bored and dialing 100 people because you have to and somebody’s going to get you in trouble if you don’t. Jarred VandeMark: Exactly. This job I’m leaving voicemails and if you’re a senior in tax in Richmond area, you need to be looking at this position because it’s a really rapidly growing company and blah, blah, blah, all that good stuff. I think there’s some candidates might here that and they might just be like, “Oh, sure it is, you just want to talk to me,” but if they know me, if they’ve met me in the past, they’ll know that I’m in it for the long term as I keep saying and if they go to this company as the tax manager, they’re going to be able to build their team and they’re going to be able to move their way up to tax director and VP of tax and so far and just have a really long term career with a great company. That goes back to do some research on what the best recruiters are in your market and meet with them before you need to. Bob the CPA: Always good advice. I guess before we wrap up here, is there anything I haven’t asked you that you want to make sure we let people know about today? Jarred VandeMark: Yeah, a couple things that I’d really like to stress with candidates is when you finally actually get that interview, make sure that you talk to your recruiter beforehand to get any information that you can about the company that you’re going to go meet with, about even the people that you’re going to be meeting with because a good recruiter has good relationships in your market might, and probably will, know the person that you’re going to be meeting with. They don’t always know that and I don’t know every client that I work with immediately. Sometimes if I have a new client it takes a little while to get to know their style, their interview style and that sort of thing, but a good recruiter should be preparing you for an interview that you go to. What kind of questions that they might be asking. What are their hot buttons? What kind of things should you avoid? What things have been going on with the company that you should know about that you should bring up and impress that client? By the way on that note, you should be doing plenty of research before you go into an interview on the company, any press releases that they’ve had recently. When you get the name of the person that you’re going to be meeting with, go to their LinkedIn profile, learn a little bit about them, kind of stalk them a little bit I guess so you can get a feel for where they went to school. We’re in a different age right now where information is just readily available and going into an interview and bringing up the fact that you also went to the interviewer’s alma mater can help you out. Bob the CPA: Oh, it’s a great way to build rapport. Two companies ago when I was interviewing I found out the CFO went to a college in my hometown so we kind of found out that we knew a few of the same people and it was just a good way to kind of break the ice and make it a little bit less intimidating getting in there and kind of helped me relax and do better in the interview. Jarred VandeMark: Exactly. You looked that up before you went in so there you go. As the interview is 90% personality, if you’re getting the interview typically you’ve already been screened, for lack of a better word, for the skillset, the knowledge that they need for the job. Now of course you’re going to be tested on that through some interview questions, but the rest of the interview that client’s just looking to see if they’re going to be able to work with you. If they’re going to be able to get along with you. A big part of your job when you go into an interview is to build rapport and to try to befriend the person that you’re meeting with. Bob the CPA: All right, so Jarred if people are in Richmond and they wanted to get ahold of you, what would be the best way for them to go about that? Jarred VandeMark: They could shoot me an e-mail. My e-mail address is jvandermark@vaco.com. I don’t know if they’ll be able to spell that. Bob the CPA: I’ll put it in the show notes. 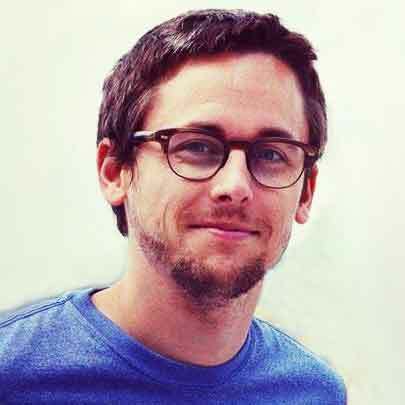 Jarred VandeMark: Great or they can just call me at work. The phone number’s 804-282-2700. Bob the CPA: Fantastic. All right, well thank you so much for talking to me today and I’m sure our listeners really appreciated it so I guess I will see you around Reddit and if I’m ever out in Richmond I’ll look you up. Jarred VandeMark: Sounds good. Thanks very much for your time as well. Bob the CPA: Each episode I like to share a little tip or tidbit that while probably not life changing, will hopefully help you out in some small way. This is coaching notes. Today I’ve scoured the web and my bookmarks folder and my browser history to bring you the complete list of the best career resources on the web for accountants. There’s books, there’s videos, and there’s some great podcasts that I’m always recommending to people. Check it out by visited cpatalent.com/resources and let me know which ones you like best. Voiceover: Thanks for listening. If you liked this episode, it’s fast and easy to click on that five star rating in iTunes or your podcatcher of choice and don’t forget you can get links and show notes for everything we cover today or check out all of our past episodes by visiting abacusshow.com. See you next time.